The team accepted ASPA’s Public Integrity Award at its 2016 Annual Conference. PA Times had the opportunity to interview Edwards and study team member Laurel Strom about the ongoing crisis and the road ahead. This article is abridged from what appeared in ASPA’s spring edition of PA Times magazine. How did Virginia Tech originally get involved in the crisis? Marc Edwards: A mother in Flint, Lee Anne Walters, complained. She had lived there for several years; she and a number of community members became suspicious after the township switched its water source to the Flint River. The water became yellow or orange and children were contracting skin rashes. It was very concerning. Laurel Strom: Lee Ann contacted Marc and he helped her run an initial test through directions over the phone, not expecting to find anything. When we went to Flint and tested houses, most had more than the legal limit (15 parts per billion), well above 1,000 parts per billion. Her children were lead poisoned due to toxic waste levels of lead. Strom: The lead comes from pipes and plumbing materials in homes and distribution systems—mostly from water mains, as well as the pipes and solder at pipe joints. The water source—in this case, the Flint River—has a high salt level which makes it highly corrosive and Flint does not have proper corrosion controls. It has experienced a large amount of water main breaks due to the corrosion. The color Lee Anne observed is an indication of that corrosion; as the pipes corrode, iron leaches into the water. The iron is not toxic, but lead in the pipes is. Can you speak about the decision making levels involved in a crisis of this kind? Edwards: I think it starts out innocently enough. Perhaps the monitors involved are confused. Then, they do not believe the levels of lead in the water is high when they were once low. Eventually, those involved start to cover up the problem and it crosses the line from incompetence to negligence to criminal obfuscation. In Flint, they decided to fight the consumers who figured out there was a problem, as well as all the outsiders who fought on behalf of those consumers. Can you give us a sense of the size and scope of this crisis? Strom: There are 100,000 people in Flint and 9,000 children who could have been exposed. 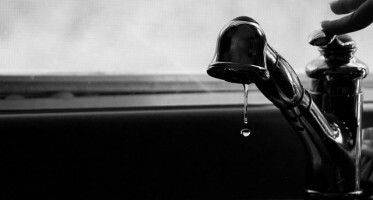 Additionally, more than 40 percent of Flint’s residents are below the poverty level. How did this come to the media’s attention? Strom: Our first sampling was taken in August 2015. The media had been talking about it since the first switch because they were concerned about it. No one took the crisis seriously in the beginning because the Michigan Department of Environmental Quality (MDEQ) said it was not a problem. A local Environmental Protection Agency (EPA) agent tested water in July 2015 and expressed concern but neither MDEQ nor EPA did anything. EPA has the power to step in if it feels there is inadequate attention being paid, but it chose not to. How can communities avoid these water crises, especially low income ones looking for cost effective water options? Edwards: We have laws that should have prevented both of these situations from occurring. In both Flint and Washington, EPA, the primacy agency (EPA RIII in DC; MDEQ in MI) and the utility all failed to follow the law. Ultimately, we have to fix these agencies so they can be trusted to do their jobs. It is extremely frustrating because society has deemed this problem so important that we pay people—and pay them well—to protect us. Our work reveals a dangerous problem in government. There is a disconnect between science agencies and the public, as well as unethical behavior by career civil servants at Centers for Disease Control and Prevention (CDC), EPA and other agencies. We have to change the culture of these agencies so they protect the public welfare and the truth before protecting their reputations. What do you most want to convey to public administrators about this emergency? Edwards: Listen very carefully to the community, and perhaps be less trusting of those in authority, which in this case included the EPA and the state MDEQ. The people were right and the agencies were wrong. Marc Edwards is the Charles Lunsford professor of Civil and Environmental Engineering at Virginia Tech. Earlier this year, Edwards was appointed to the Flint Water Interagency Coordinating Committee, a 17-person committee tasked with developing a long-term strategy to address the water crisis. Laurel Strom is a graduate student at Virginia Tech and a member of the research team. She delivered remarks accepting the Public Integrity Award at the ASPA 2016 Annual Conference.